I was thinking to myself that I was over this winter and snow stuff. I was wrong! 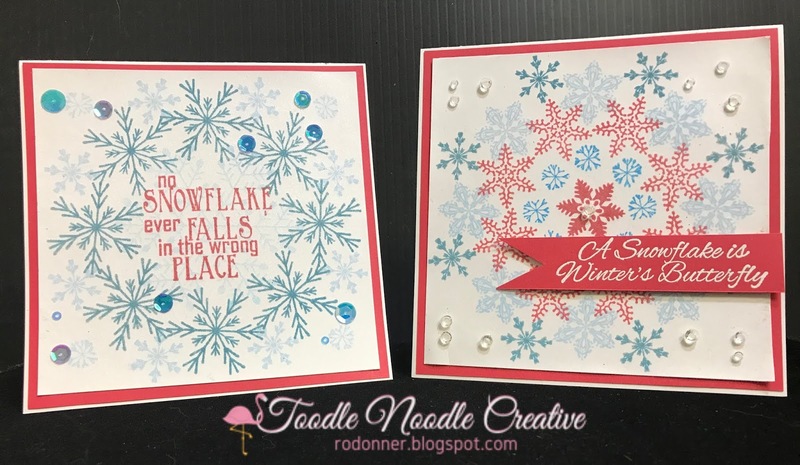 With all the newly fallen snow outside, I was motivated to bring out my snowflake stash one more time to create a couple of fun wreath-style snowflake cards. I've been wanting to do some cards in this style for some time now, so I decided to make a template using my Silhouette Cameo. I cut it out of heavy duty cardboard (it took a LOT of passes, lol!) but it turned out perfect! 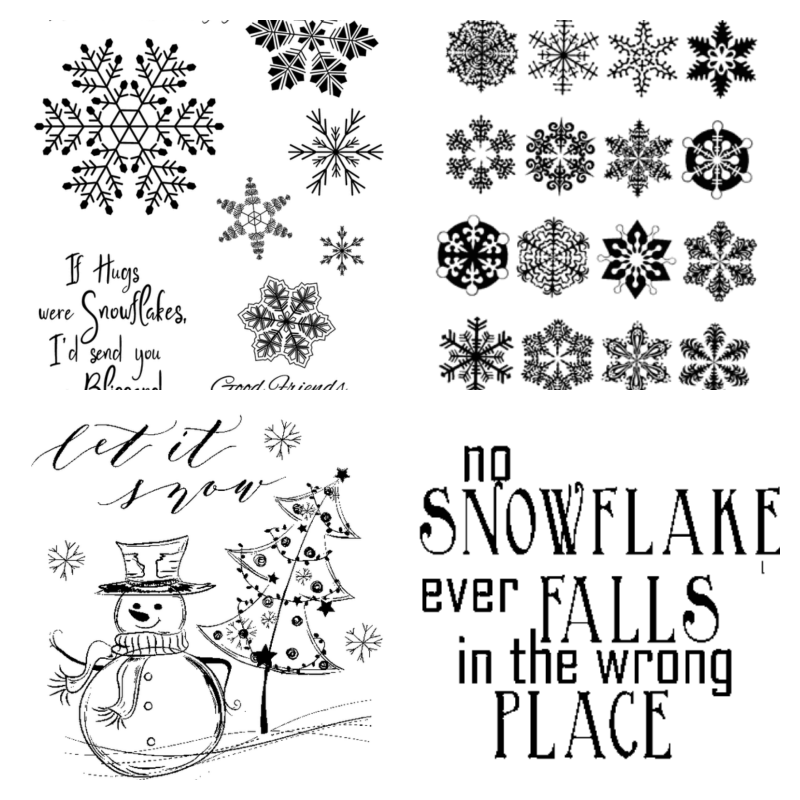 I selected some snowflake stamp sets (listed below) and my ink colors, and stamped a couple of snowy cards. 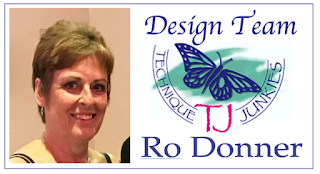 If you are wondering how this came about, I placed the template in the stamp positioner and placed my first stamp. I stamped it, turned the cardstock, stamped again, turned the cardstock, stamped, etc. 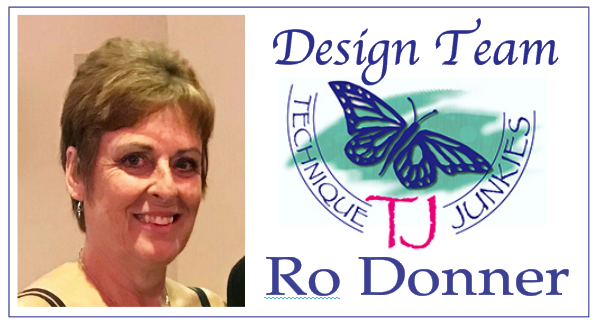 After I completed the first "circle", I selected the next stamp and positioned it where I wanted it. 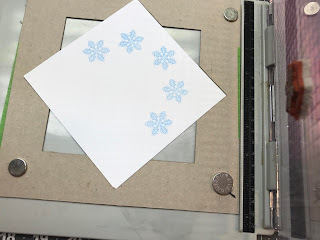 Then began stamping and turning to complete that pattern. I repeated the process with the other stamps. Once the wreath was completed, I added some beautiful shimmer using Shimmering Bliss (Iridescent). I matted the panel and attached it to a card base. 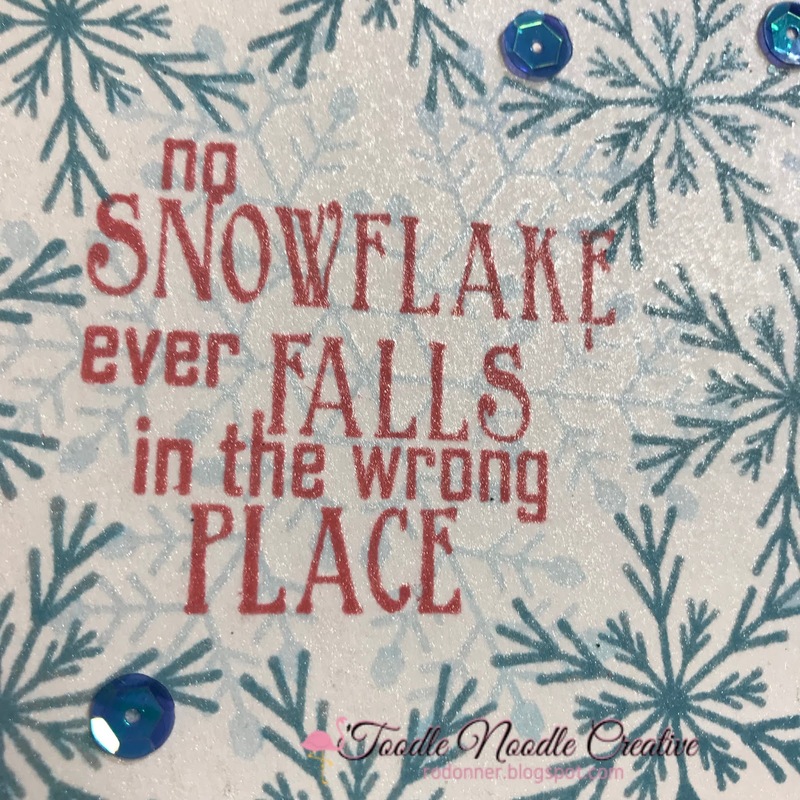 I stamped the sentiment on a piece of cardstock and trimmed it down with a tail. That was then attached with foam tape and some jewel elements were added for extra sparkle. Just look at the shine on this card! The next card was basically completed in the same manner. 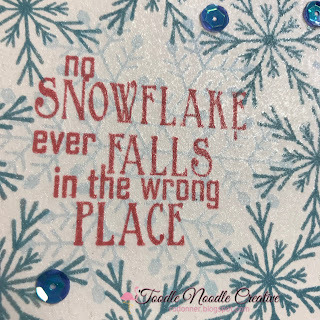 For the snowflake in the center, I stamped off on a scrap piece of paper, then stamped on the cardstock, which gave it a lighter, more background feel so it didn't overpower the sentiment. You can really see the shimmer on this close-up! 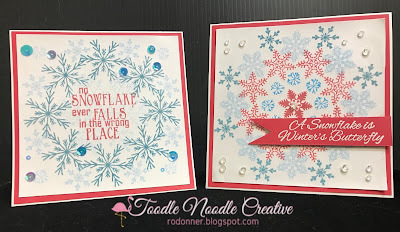 I also used Shimmering Bliss in Iridescent to give the cards their beautiful shimmer. The other supplies used included: Cardstock; Foam Tape; Memento Ink (Love Letter, Bahama Blue, Teal Zeal, Summer Sky); Versamark Ink; White Embossing Powder; and Little Things By Lucy's Cards (Mermaid, Ice Cube Mix); Homemade Template made with Silhouette Cameo; Stamping Platform. 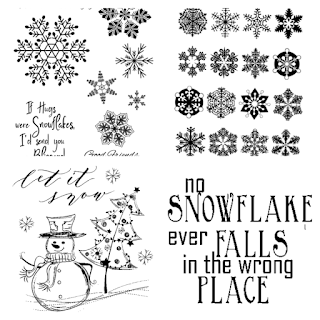 I hope you're not too sick of the snow to get out your snowflakes and play! 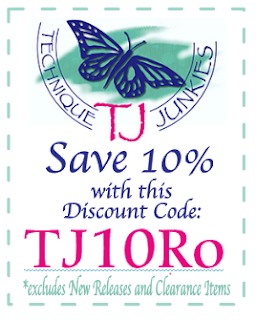 If you like the TJ supplies listed here, you can save 10% on your order by entering the code below at checkout!